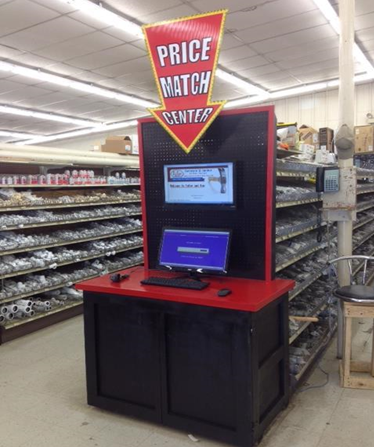 Our newest tool in making sure you always receive the best price on your purchase is our in-store Price Match Center. Next time you want to be sure you are getting the best price on your purchase, just have one of our associates show you to our Price Match Center located centrally at each store. We will always check local competitors prices and make sure you get the best price.